Today’s poems are from the book Rose (BOA Editions Ltd., 1986), and appear here today with permission from the poet. Li-Young Lee was born in 1957 in Jakarta, Indonesia, of Chinese parents. In 1959, his father, after spending a year as a political prisoner in President Sukarno’s jails, fled Indonesia with his family. Between 1959 and 1964 they traveled in Hong Kong, Macau, and Japan, until arriving in America. Mr. Lee studied at the University of Pittsburgh, the University of Arizona, and the State University of New York, College at Brockport. He has taught at various universities, including Northwestern University and the University of Iowa. He is the author of four books of poetry and one memoir and has been the recipient of numerous honors and awards. 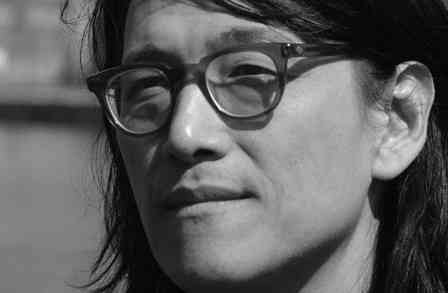 Editor’s Note: At his recent reading with Peggy Shumaker and Amber Flora Thomas (held in New York’s Poets House and sponsored by Red Hen Press), I had the once-in-a-lifetime opportunity to hear Li-Young Lee read. Not only to experience this performance, but to shake the poet’s hand and tell him how much his words have meant to me, how his poems above all others have been a vessel for me in my grief. Between my father’s passing and seeing Mr. Lee speak I read Rose cover to cover, perpetually weeping. When tears would not come to me, though I felt the need to express them, it was this book that opened me up and enabled release. I cannot read Lee’s simple, sincere, and elegant poetic contemplations of the loss of his father without becoming one with him in his grief, and in so doing becoming one with my own, as I must. Lee’s words and thoughts paint themselves into the mind’s eye like the most finely-crafted calligraphy. Simple beauty that defies the painstaking art required to make it. “O, to take what we love inside, / to carry within us an orchard.” I can scarcely conceive of a poet who better exemplifies what poetry ought to be. Want to see more by Li-Young Lee? Buy Rose from Boa Editions Ltd. This entry was posted in Li-Young Lee and tagged American Poetry, Asian American Poetry, Poetry, Poetry International. Bookmark the permalink. Lovely, Sivan. Thank you for sharing these verses and what they have meant to you. In response to the two pieces, the the editor’s and John Unger Zussman’s commentary: what more needs be said. Reblogged this on Free Savannah.